Raid Finder Wing 2 for Battle of Dazar'alor opens this week. Love is in the Air returns today, with a few updates. Peddlefeet's Lovely Hearthstone is available for 150 Love Token. Neck slot items are now item level 365 for level 120. Put your best battle pet teams to the test with this week’s event. To get in on the action, open your Pet Journal (Collections Shift+ P) and click the “Find Battle” button to be match up with an opponent with their own team of well-trained companions. Chronicler Shoopa in Zuldazar and in Boralus has a quest for you – The Very Best. Or, if you forget to pick it up there, you can start it within the Adventure Journal. Quest requirement: Win 5 pet battles versus other players with a team of three level-25 pets. Reward: One Ultimate Battle-Training Stone. T'Zane is the world boss for the week! This week's Call to Arms is Call to Arms: Nazmir or Call to Arms: Nazmir. Head to Nazmir with warmode enabled to kill 10 players of the opposing faction. This will reward you with conquest and 75 reputation for either 7th Legion or The Honorbound. Players that are lower level than current expansion content (lower than Level 110) receive Heart-Shaped Carton, which doesn't contain the Big Love Rocket. [*]Players that are at the level for the current expansion content (Level 110 or higher) receive Heart-Shaped Box, which doesn't contain the Big Love Rocket either. oh that 365 necklace looks promising....why even waste time updating the neck that no1 is going to use? Lmao, they've literally no idea what there doing these days, too many different Dev depts with no idea what each dept is doing, mind boggling. I can't see any good reason for not just swapping these rewards to rings. Still can be equipped by all classes. Doesn't require any artwork as rings aren't shown on characters. 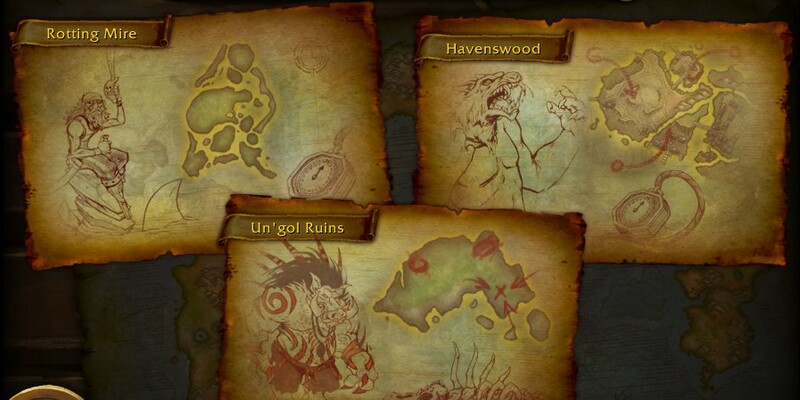 That way, they'd also be useable by people doing BFA content. Especially new 120s that are trying to gear for the new LFR. The necklace thing is kind of the straw that broke my back. The level of neglect and carelessness in this expansion is just too much. I'm done. ESO and FF14 already get my money, now I'll have $15 extra per month. Any ideas for the bests pots to farm charms in BfA? Can someone please explain to me why LFR is timegated? As I type this 18,975 guilds have cleared normal mode, and more than 5,000 have at least Champions down in mythic. It makes zero sense to keep it so gated when so much of the community has seen the raid.